SK Photos: Thiepval - Memorial to The Missing. Thiepval - Memorial to The Missing. 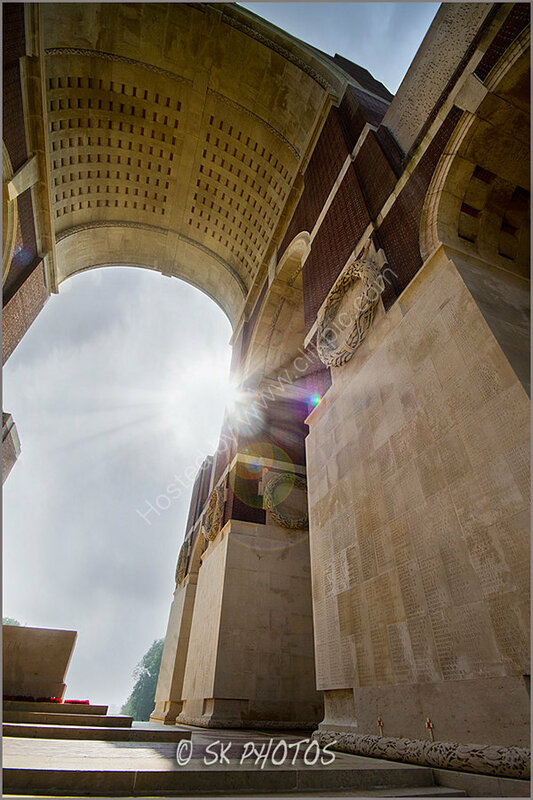 The Thiepval Memorial - the Memorial to the Missing of the Somme - bears the names of more than 72,000 officers and men of the United Kingdom and South African forces who died in the Somme sector before 20 March 1918 and have no known grave. Over 90% of those commemorated died between July and November 1916. (For aerial views of the Memorial, please check out the 'Somme from the air' section at 'Articles/Events of Interest' on this website).